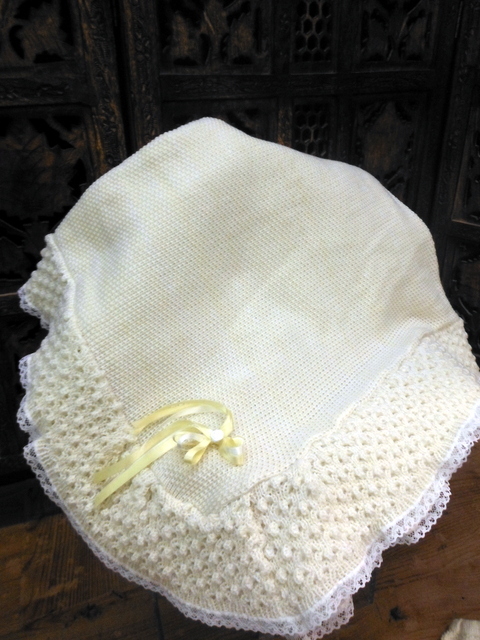 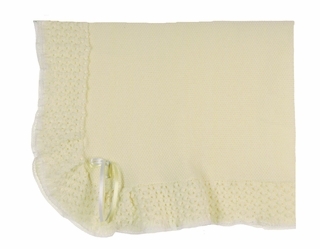 This lovely pale yellow soft acrylic knit baby blanket is made by Will'Beth, a leading designer of beautifully detailed children's clothing for more than 30 years. 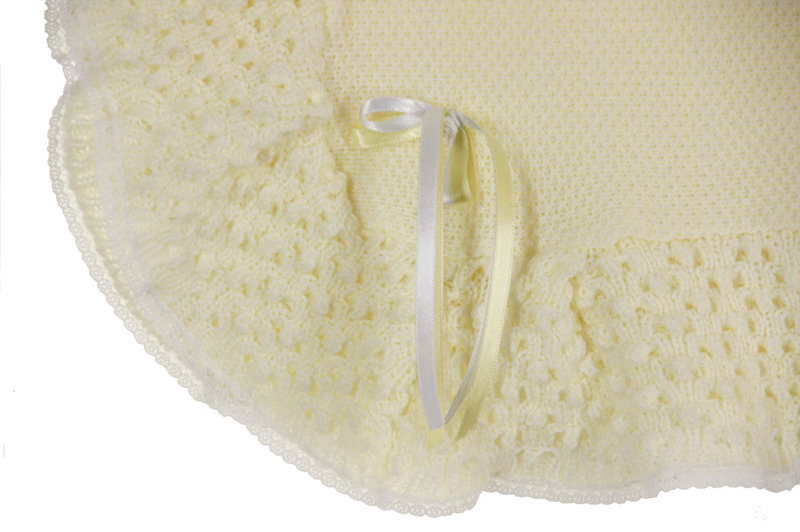 It features an open knit ruffled edge with yellow and white ribbons in one corner. This is the sweetest year round blanket for bringing your new baby home from the hospital or for a special baby shower gift that will always be treasured!